The Expedition of Colonel John Moore. In the aftermath of the Great Comanche Raid of 1840 and the Battle of Plum Creek, Mirabeau Lamar, the President of the Republic of Texas, was convinced that the depredations of the Penateka Comanches would continue unless the savages were thoroughly chastised and taught that such hostile conduct on their part would no longer be tolerated. The only way to administer such a lesson was to carry the fight into the heart of the Comancheria. To accomplish this difficult and dangerous mission, Lamar enlisted the services of Texas Ranger Colonel John Moore, charging him with the responsibility of organizing an expedition for the purpose of attacking and destroying a Comanche winter village somewhere on the upper reaches of the Colorado River or one of its many tributaries. If an entire Penateka village could be set afoot and left without the necessary foodstuffs to survive the winter, the action would clearly demonstrate to the Comanches that there was no safe haven if they failed to keep the peace. Colonel Moore had led a similar expedition to Spring Creek in the valley of the San Saba River the previous February, but after an initial success, the attack on the Comanche village ended in disaster when Moore ordered an unexpected retreat. In his after action report, the Colonel stated the retreat had been necessary because of poor visibility and the need for his men to reload their weapons, however, not all the volunteers agreed with this assessment. The Lipan Chief Castro had gone so far as to withdraw his warriors from the expedition and set out for home. To make matters worse, the Comanches conducted a well-planned midnight raid and ran off with more than half of Moore�s horses, forcing many of the men to return to Austin on foot. The Colonel was determined such a disaster would not occur again. The first step in organizing the expedition was to recruit sufficient manpower, and Moore set about doing this by posting circulars and placing advertisements in local newspapers throughout the small towns and widely scattered homesteads of frontier Texas. Considering all the burning and killing the Comanches were responsible for on the frontier, it was not surprising that the ads and circulars brought a prompt response. By early October close to ninety volunteer Texas Rangers, mostly from Fayette and Bastrop counties gathered at Walnut Creek near the new capital of Austin. Having crossed over much of the same rugged hill country terrain on his previous expedition, Colonel Moore made the decision to use pack mules to carry the expedition�s supplies instead of wagons. He also wanted to keep from alerting the Comanches to the presence of the expedition by hunting, so a small herd of cattle would trail along behind the string of pack mules to serve as a mobile commissary. On Monday October 5, the expedition, led by Chief Castro and seventeen Lipan Apache scouts, departed from the camp on Walnut Creek and headed north toward the San Gabriel River. 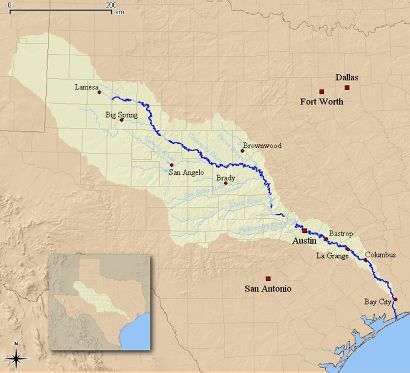 Bearing west at the San Gabriel, the column followed the river's course to its headwaters, then moved cross country to the Colorado River, thus avoiding the worst of the hill country. 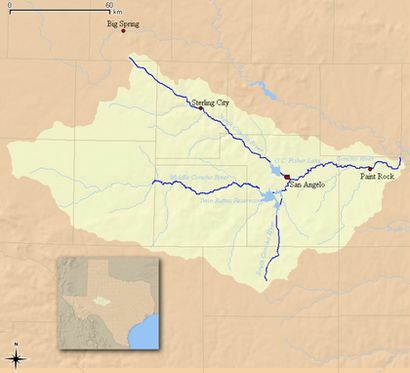 After fording the Colorado, the volunteers continued northwest, crossing both the San Saba and Llano rivers. As the expedition drew closer to the Concho River a �blue norther� storm unexpectedly rolled in and the weather took a severe turn for the worse. Torrential freezing rain and near gale-force, icy winds plagued the trail, and it was impossible for the Rangers to stay dry in the miserable conditions. A number of men became ill as the column continued to plod on through miles of deep clinging mud and standing water. One young Ranger, Garrett Harrell, drowned while the expedition was fording the raging flood waters of the Concho, and Colonel Moore was beginning to grow discouraged after so many days on the trail with no sign of the Comanches and little letup in the gloomy weather. 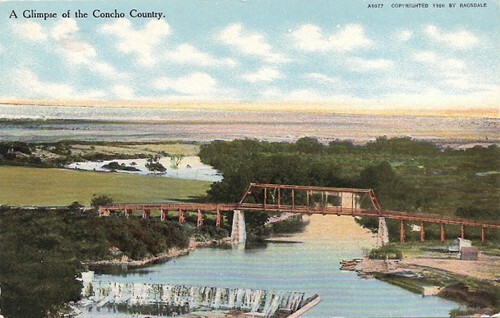 He reluctantly ordered the column to follow the Concho back to its confluence with the Colorado where he planned to return to Austin if nothing turned up and the weather conditions failed to improve. However, the rain abated somewhat as the Rangers drew nearer to the Colorado. More importantly, the Lipan scouts found tracks of a large number of unshod horses mixed in with the drag marks of many travois and the footprints of women and children; clear signs of a village on the move. The Rangers followed the tracks northwest along the Colorado, and on October 23, they came across a large grove of pecan trees where the Comanches had stopped to gather nuts for the winter. Most of the pecans had been harvested, and with such a heavy load to carry, the scouts were sure the encampment was not far off. After ordering the men to take cover in a brushy thicket on the reverse side of a hill sheltered from the icy blast of the north wind, Colonel Moore called on his two best scouts to ride ahead. Departing at mid-morning, the Lipans did not return until near sundown, but they brought welcome news. The Comanche village was located on a horseshoe bend of the Colorado less than twenty miles distant. The news of the discovery energized the Rangers, and in spite of the miserable weather, they were eager for an engagement. After eating a cold supper, Colonel Moore led the column ten miles up the Colorado where the men secured their small herd of cattle in a mesquite thicket near the river and continued on for a few more miles. Halting the march at midnight, Moore ordered the Rangers to dismount and rest their horses while he dispatched the same two Lipan scouts to determine the exact location of the village and gather an estimate of the Comanches� strength. 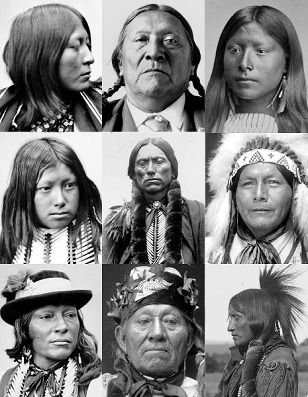 The Lipans returned a few hours before sunrise and reported a village four miles upriver on the south bank of the Colorado with sixty to seventy lodges and an estimated 125 warriors. The column continued its advance for another two miles where they secured their pack animals in a wooded hollow and waited for daylight. Near sunrise on October 24, Colonel Moore gave the long-awaited order to mount and move forward. 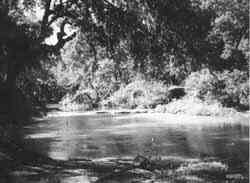 As the Rangers approached the sleeping village, Lieutenant Clarke Owen, recently arrived at Austin from Mississippi, was ordered to ford the Colorado below the camp with the Lipan scouts and be prepared to deal with any Comanches who managed to make it across the river. Captain Thomas Rabb from La Grange and his men would form up on the right, Captain Nicholas Dawson from Bastrop and his men would be on the left, and Colonel Moore would ride with the men of Lieutenant Owens and command from the center. The Rangers moved to within two hundred yards of the encampment without being detected and slowly went on line; only the fog-muted jingle of harness and the soft squeaking of saddle leather disturbed the deathly silence of the early morning. When all was in readiness Colonel Moore gave the signal and the entire command started forward at a walk, quickly moved into a trot, and finally broke into a thundering gallop. The Comanches were taken by complete surprise, stumbling out of the snug warmth of their buffalo robes only to be greeted by the howling screams of the Rangers and the hammer-like pounding of countless hooves. Nearly naked and weaponless, the Indians fled for the perceived safety of the ford on the Colorado. The rangers brought down a virtual hail of gunfire on the retreating and confused Indians as they galloped into the village unchallenged. Halfway through the scattered buffalo-hide lodges Moore called for the men to rein in so they could dismount and reload. After quickly reloading, the Rangers continued to fire until the barrels of their long rifles were smoking hot. Many Comanches were killed before they reached the Colorado, and a large number of others were brutally gunned down as they attempted to flounder across the ford, their bodies swirling away with the current. The Rangers advanced to the river in an orderly fashion and continued to fire at the fleeing Comanches, hitting many of them as they emerged from the river on the opposite bank. 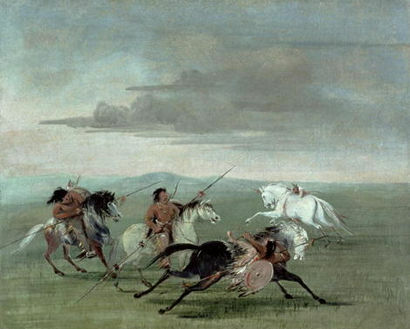 The Comanches who were fortunate enough to run the deadly gauntlet of fire from the village and safely reach the far bank fled across the open prairie only to be ridden down by Lieutenant Owens and his Lipans who had been eagerly awaiting just such an opportunity. The scene was one of carnage. Bodies of dead, dying, and wounded Comanche men, women, and children lay sprawled across the village and both banks of the Colorado. Although an honest effort had been made by most of the Rangers to spare the lives of the women and children, a good number of them had been killed or wounded in the confusion of the fight. Colonel Moore later reported that forty-eight Comanches had been �killed upon the ground, and eighty killed and drowned in the river.� Many of the Rangers believed this estimate was too low. 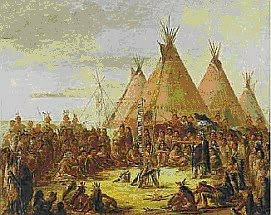 Thirty-four Comanche prisoners were taken during the fight. None of the Rangers were killed and only two suffered minor wounds. The victory on the Colorado was undoubtedly the most severe punishment the Comanches had ever received at the hands of the Texas Rangers. 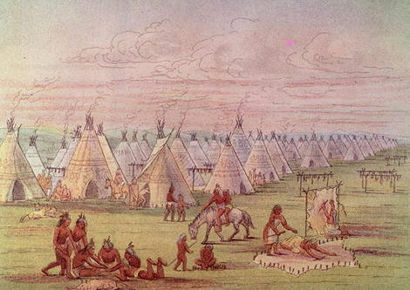 In addition to the many casualties and prisoners the Indians suffered, all the property and food in the village was either confiscated or destroyed, including much of the loot that had been carried away from the raid on Victoria and Linnville. More than five hundred Comanche horses were also rounded up. The Rangers returned to Austin on November 7, with the welcome news of their victory, and the grateful citizens held a dinner and celebration in their honor. The power of the southern Penateka Comanches was forever broken, and although they remained a nuisance, they were never able to fully recover from the results of the devastating defeat on the Colorado coupled with the losses they had suffered at the Council House fight and Plum Creek. However, the Texans and the northern Comanche tribes had not yet come into meaningful contact, and the struggle for control of the western frontier would continue for many more years.